Submissions for this promo have closed. Looking for another way to promote your Mystery / Thriller / Suspense ebook? We will also run a Rafflecoptor on the site. In order for the readers to enter they have to give permission for an author to add them to their mailing lists and/or share the promo. Each entry will give them a chance to win Amazon Gift Cards. Your ebook MUST be Mystery, Thriller or Suspense. Sub genres are welcome as well as cross genres–provided one genre is Mystery, Thriller or Suspense (see submission form for more information). 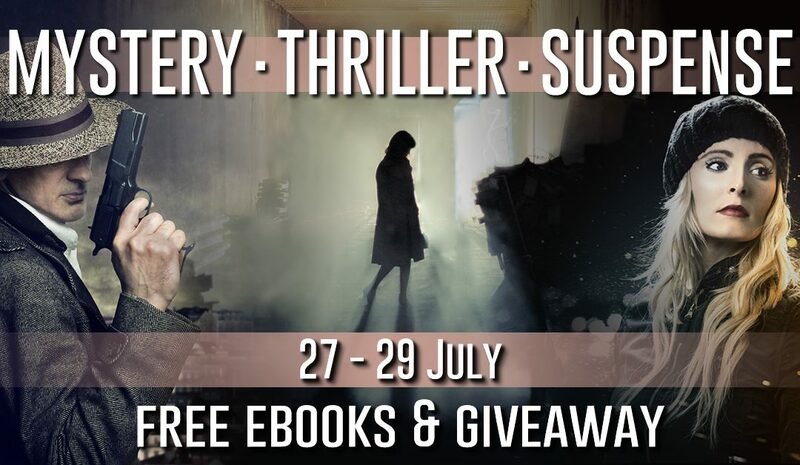 The ebook you submit MUST be available for FREE (perma-free or temp-free) for all three days of the promo: 27 – 29 July. The deadline for all submissions is 24 July 2016.